Create this Stained Glass Panel Just in Time for Thanksgiving! Download this free stained glass suncatcher pattern. 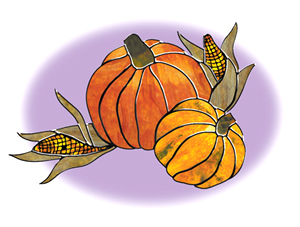 Featuring a Thanksgiving Cornucopia, it's the perfect project for fall. Pattern is courtesy of our friends at Stained Glass News. Visit their website www.stainedglassnews.com for more information about their full-color, project-packed newspaper, back issues, and subscription information.